As in previous years, the Lebanon squadron will be supporting the Prouty this year on Saturday, 14 July. If you have signed up to help out with the Prouty, please arrive at the Richmond Middle School at 0600. Check in at the volunteer tent and pick up a volunteer shirt. BDUs (preferred) or other CAP uniform. Cadets please wear your PT shirt. Seniors please wear your Prouty volunteer shirt. 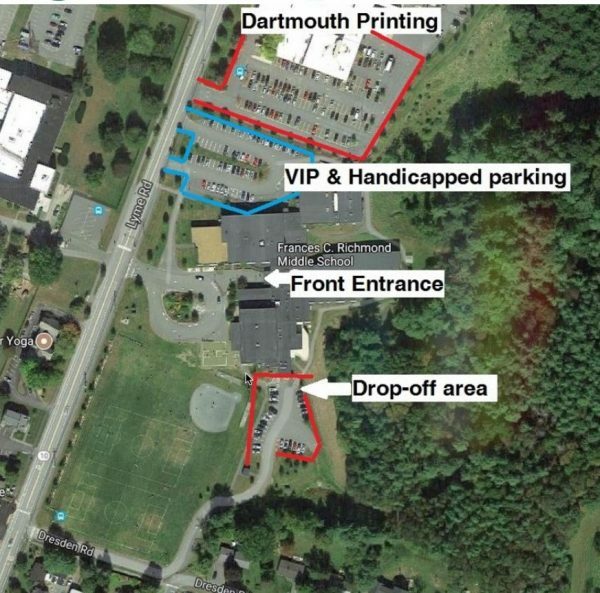 Volunteer parking at the Richmond Middle School is at the Dartmouth Printing parking lot north of the middle school. If you need to drop off lots of gear, enter via Desden Road to the drop-off area south of the school. Once done unloaded, move your vehicle to the Dartmouth Printing lot. More information on the event is on the Prouty web site. Thank you for your help this year. This entry was posted in General by Maj. Rangi Keen. Bookmark the permalink.